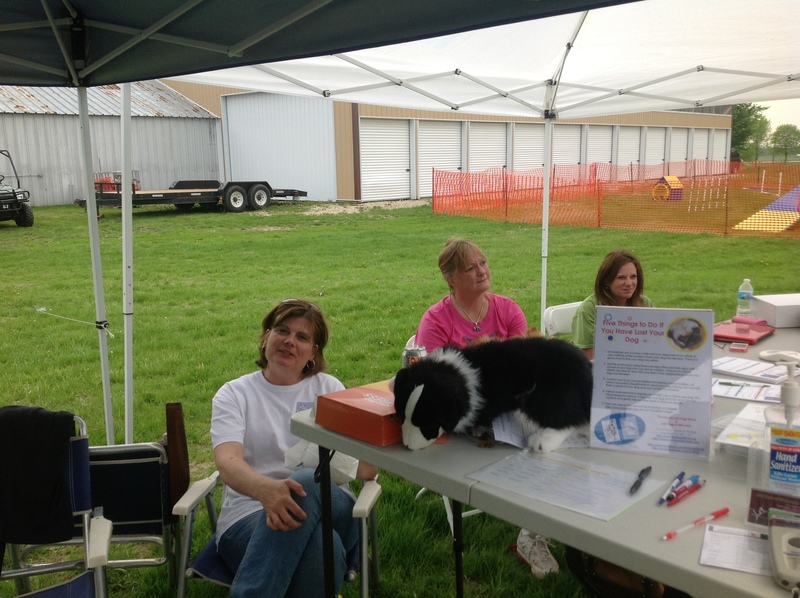 Lost Dogs of Wisconsin and Lost Dogs Illinois had an informational booth at the Friends of Noah Community Carnival in Edgerton on May 18, 2013. It was a big success! The weather was nice and lots of people came out to participate in all of the fun activities for dogs and owners. We offered free microchip scanning for all dogs. Many dogs were microchipped, but many people did not know the brand of microchip, or whether their information was current. A microchip is only as good as the information that is attached to the file! 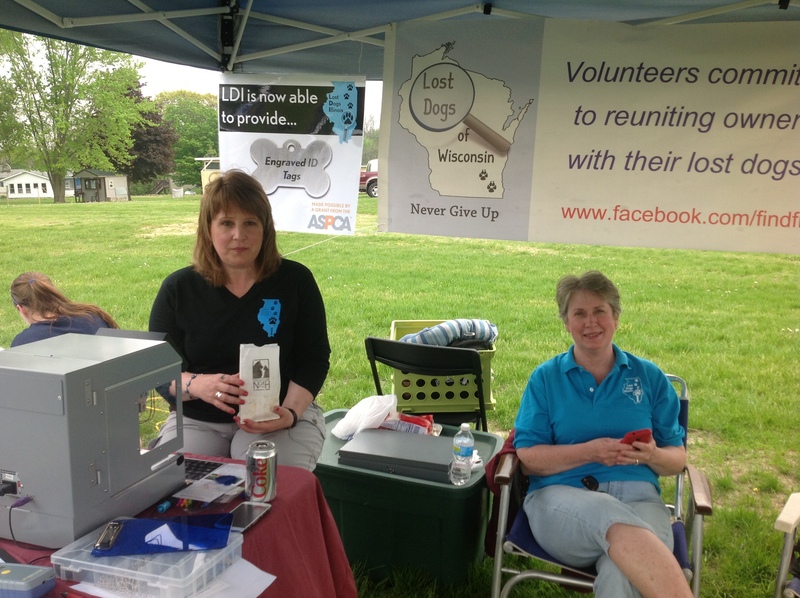 Lost Dogs Illinois set up their I.D. tag making machine and engraved tags on the spot. Thirty-nine dogs went home with shiny new tags! Thank you to our volunteers and especially, the folks from Lost Dogs Illinois for helping us help more dogs get home safely.